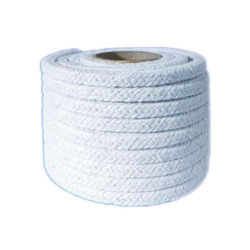 Pioneers in the industry, we offer asbestos rope, customized asbestos rope, asbestos lagging rope, nonmetallic twisted asbestos rope, white asbestos rope and asbestos soft lagging rope from India. We are offering Asbestos Rope. 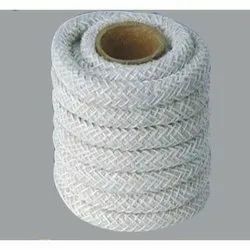 Braided from Asbestos Fiber yarns, this Asbestos Rope (Round & Square) is available in round as well as square cross-section. Moreover, it is available with metal wire inserts as per requirement. Sizes available from 6mm to 80mm or above on request. 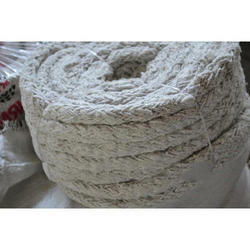 We are offering Customized Asbestos Rope. 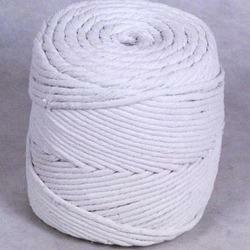 Several ends of asbestos yarns are uniformly twisted to produce very flexible ropes. We are offering Asbestos Lagging Rope. It is one of the simplest forms of removable lagging or thermal insulating ropes. Alternatively, a wrap of roofing felt can be used. We are offering Nonmetallic Twisted Asbestos Rope. 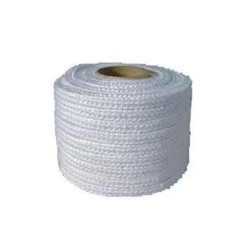 We are offering White Asbestos Rope. 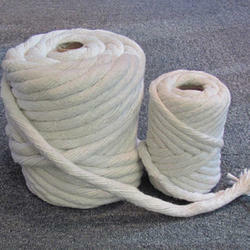 We are offering Asbestos Soft Lagging Rope. We are offering Twisted Asbestos Rope. We are offering Fire Lagging Asbestos Rope.